Christy, a native of Co. Kildare, started in the music business in the mid-sixties, when his life as a bank clerk was interrupted by a bank strike, and he moved to England. There he became involved in the folk music scene at the time, and spent a few years playing pubs and clubs around the country. His return to Ireland was marked by the album Prosperous, which proved to be a milestone in the rapprochement of Irish music to the popular mainstream. This album benefited from a collaboration of the leading talents of contemporary folk music, musicians such as Andy Irvine, Donal Lunny and Liam O’Flynn, and this one-off was to lead to the formation of Planxty, a band who were at the leading edge of the revival of Irish traditional music. Over the following years the musical status of Planxty became legendary both in Ireland, Britain and throughout Europe. However in 1974 the band split up to pursue solo projects. It was during this period that Christy continued to explore new ground as a solo artist recording a number of solo albums including ‘The Iron Behind the Velvet’ (TARACD2002) which featured Andy Irvine and ‘Live in Dublin’ (TARACD2005) with Donal Lunny. The original Planxty lineup of Christy, Andy, Liam and Donal then reformed in 1979. They recorded two further albums with Tara Records ‘After the Break’ (TARACD3001) and ‘The Woman I Loved So Well’ (TARACD3005). There were several additions and changes to their lineup most notably the addition of Matt Molloy, flautist from the Bothy Band, who later joined The Chieftains and Bill Whelan. In 1981 Planxty performed a Bill Whelan arrangement called ‘Timedance’ as the intermission piece for the Eurovision song contest, held that year in Ireland. Later it was released as a single and is now included on Bill’s CD of ‘The Seville Suite’ (TARACD3030) released by Tara in 1992. In the eighties Christy again teamed up with Donal Lunny to form Moving Hearts, another ambitious and innovative Irish band which sought to mix jazz into the folk-rock fusion. Ever the wanderer, Christy was soon breaking out on his own again, and it was in the eighties that he began to establish himself as one of Ireland’s leading solo artists with a string of acclaimed albums and high profile tours. In the mid-ninties Christy decided to take a break from the music for a few years. In the year 2000 Christy return to live performances with a series of Dublin concerts. Over the last few years he has released a number of solo projects including a television series, a live album and a 6 CD boxset. 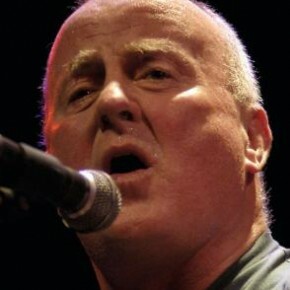 In 2004 Christy once again teamed up with Planxty for a series of Irish concerts and a new live CD and DVD, while at the same time performing regularly in his own right with in Ireland and the UK, with Declan Sinnott. Christy is no stranger to Cúil Aodha and West Cork!